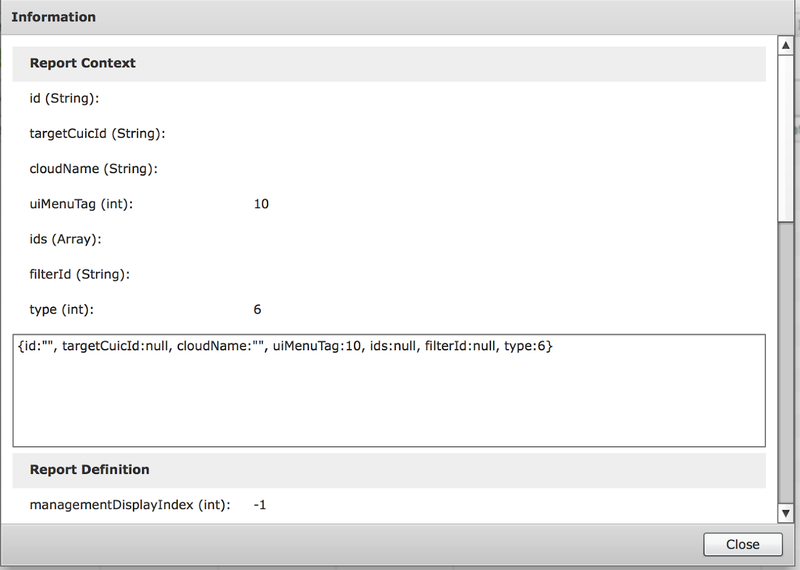 One of the great features of UCS Director is its Rest API. 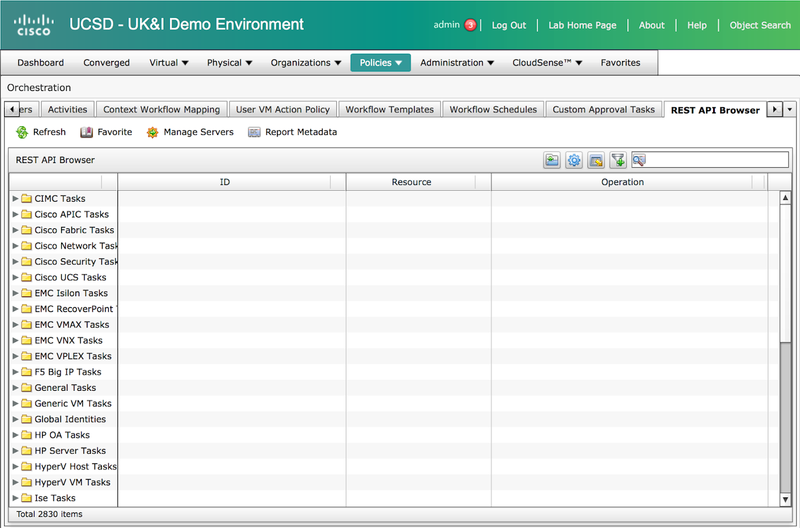 This is key if you want to interact with it programmatically or integrate with other products (like Prime Service Catalog, which Cisco has done as part of the Cisco Enterprise Cloud Suite). The API’s use GET and POST methods over HTTP or HTTPS. Input parameters and responses are encoded using JSON. The API key is passed in the header of the request (X-Cloupia-Request-Key). You can obtain the unique key associated with your user name by logging on via the GUI. A ‘User Information’ dialog will popup, you will need to go to the ‘Advanced’ tab. You will see the Access Key string. [OPTIONAL] This step isn’t required for communicating with the API however this feature will be used further on in the blog post to help understand the API syntax and calls (saves us revisiting). Select the ‘Enable Developer Menu’. Now we have the key we can start to make requests. This will be used in the HTTP Header. NOTE: for formatting reasons I have changed this from a single line and put carriage returns in. 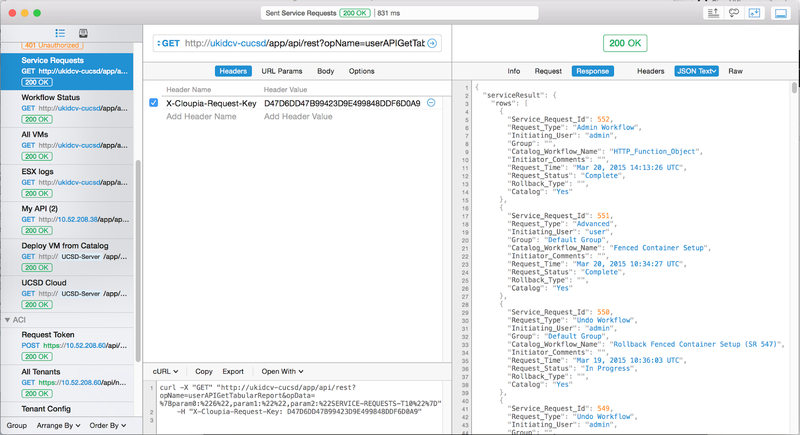 Now we have both the API Key and the API to query we can test. This is obviously a lot more human readable. If you are more graphically inclined (and I am these days when investigating new API’s) I would recommend either the postman browser plugin which is free or my now preferred option of Paw which has a cost associated (and Mac only). 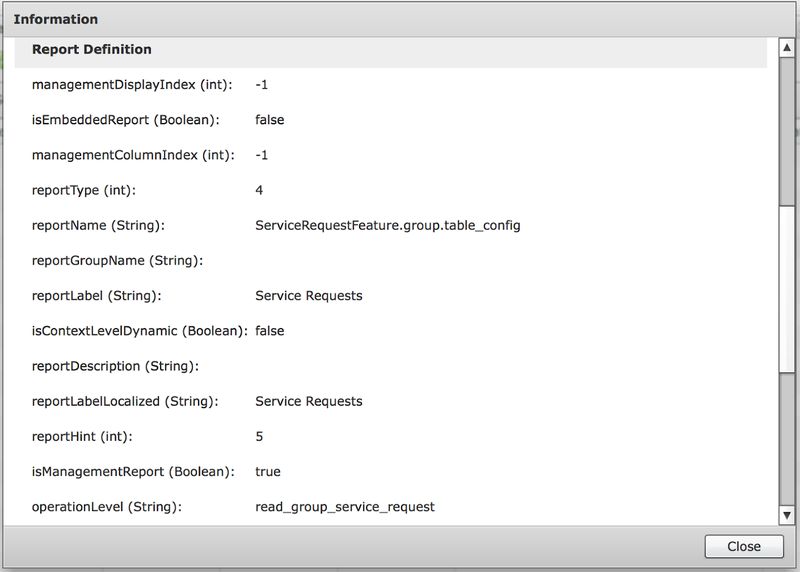 You can see above how you enter the API and also define the header. The following are just 2 example to give you an ideal to how things work. I suspect I will create a number of blogs involving the API so what this space! I thought I would create a demo using a Python script to return the service request list. 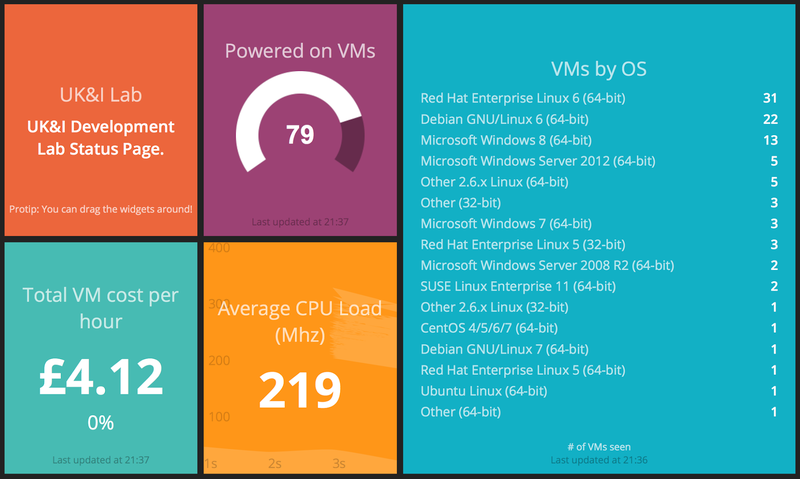 In one of the Leeds DevOps meetups one of the developers pointed me in the direction of a nice graphical dashboard framework, when I 1st saw it I immediately thought it could be used to show the UCSD API’s (and others, like APIC). If you browse to dashing.io you will be able to see what the project is all about. As part of a recent Cisco TechHuddle roadshow we used this as a demo. The example code can be found in our UK&I GitHub site or also here. 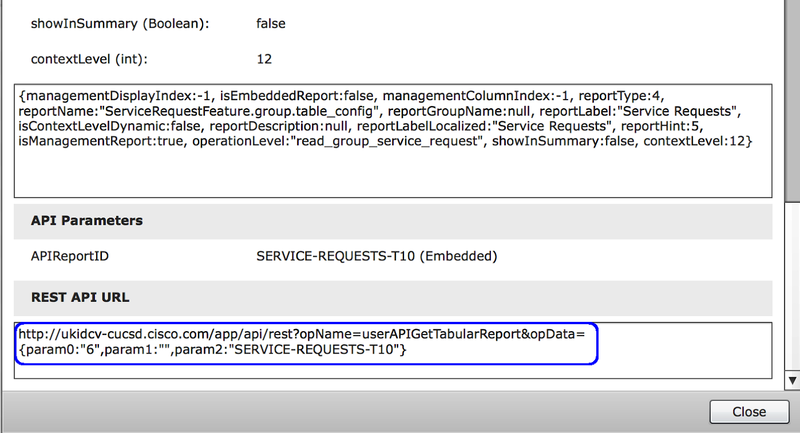 So how did I find out what the API was to extract the service requests? You remember at the top I told you to select the ‘Enable Developer Menu’, well that key for the next bits. I know the data that needed to be extracted was contained with in a table in the GUI so I browsed to that location. As the developer menu is enabled an extra button appears called ‘Report Metadata’. If you select this it will provide API details. 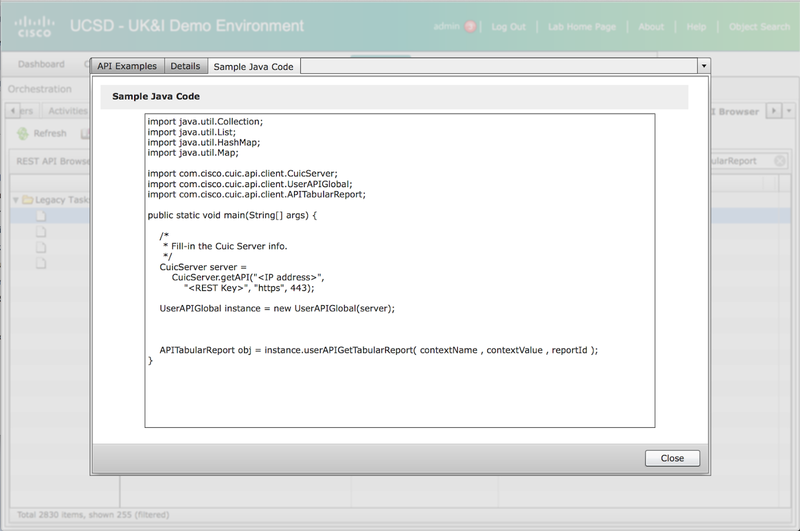 The highlighted string at the bottom of the last screenshot should look familiar now - yes its the API call I used. But what if the data you are trying to retrieve doesn’t have a table in the GUI, or if you are trying to request UCSD to execute something. Well you could read the PDF, OK bad idea. As we have enabled the developer menu we now get access to an API browser. 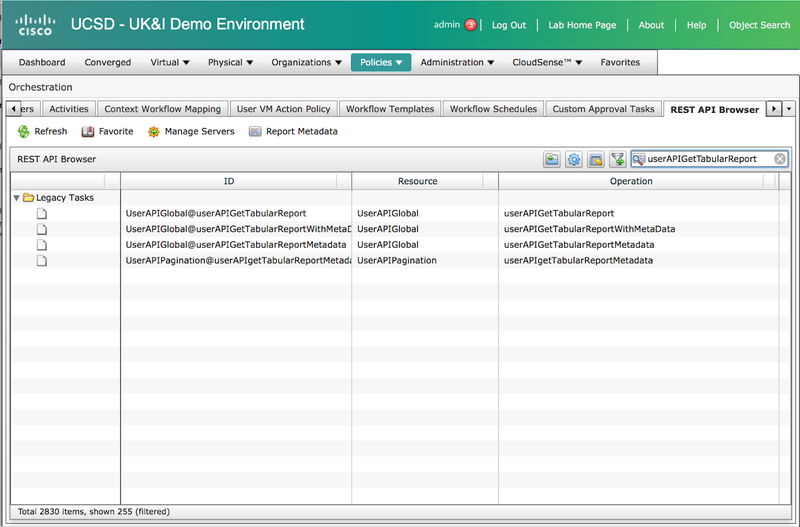 Select ‘Policies->Orchestration->REST API Browser’ from the menu. You can now browse the right hand side menu and look for something familiar or you can use the search box. 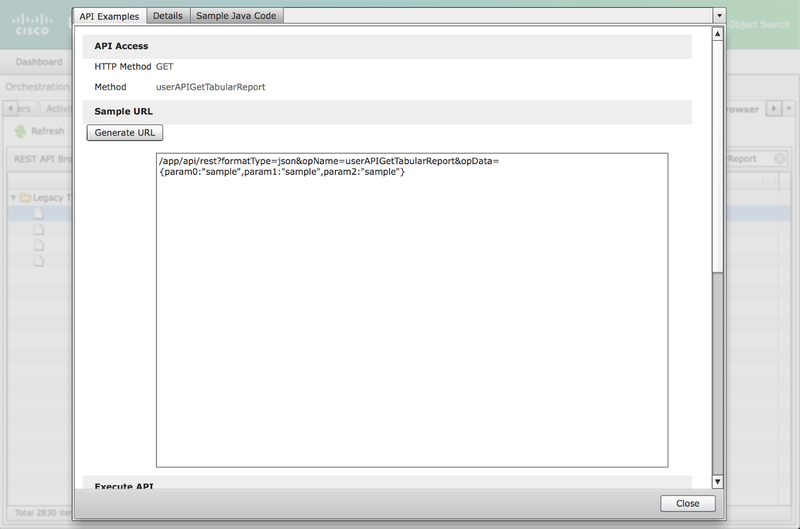 So lets search for the API that we have been using (userAPIGetTabularReport). 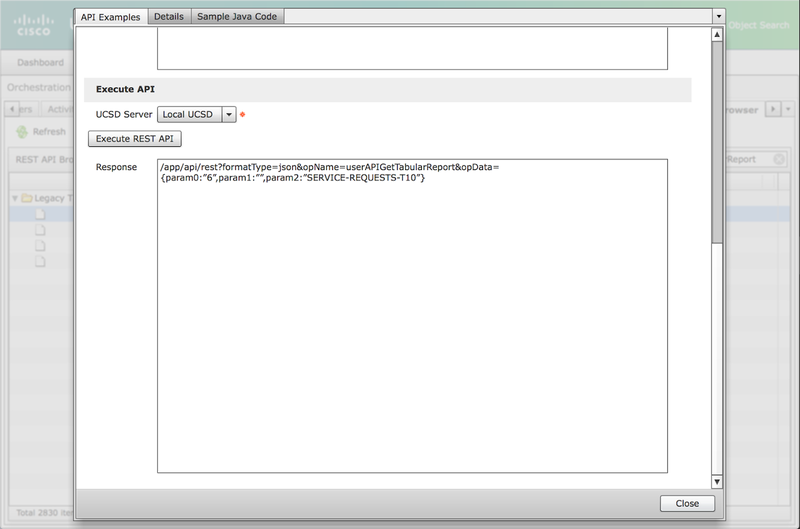 This will let you get more detail on the API and an example of the syntax. I have also put together a supporting video. Note: To do operations using the work-flow tasks and other actions the version 2 of the APIs need to used. 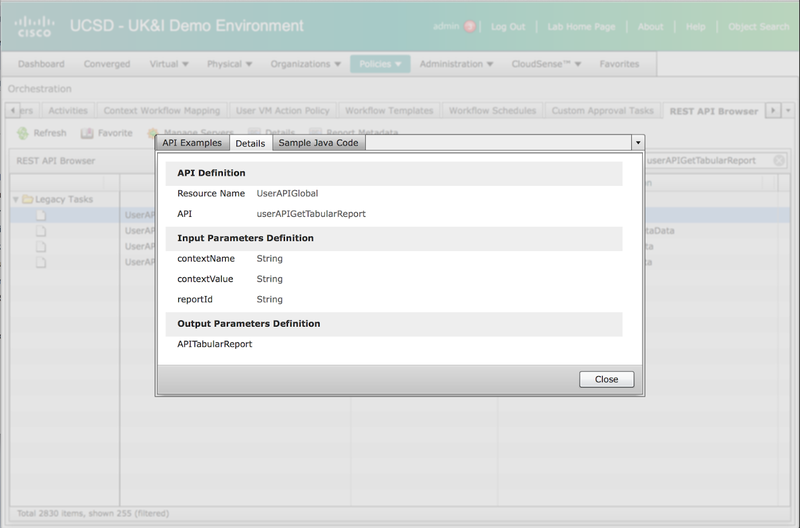 To work with other things such as retrieving reports, Version 1 of the APIs need to be used.